Bollywood actor Anupam Kher spent quality time with Sonali Bendre in New York as she battles with cancer. Speaking about the same on his official Twitter account, Anupam Kher revealed that he had the opportunity to spend some quality time with Sonali in last 15 days and added that she is his hero. In challenging times, Sonali Bendre has not just found her biggest support in close friends and family but also Bollywood celebrities and millions of fans. 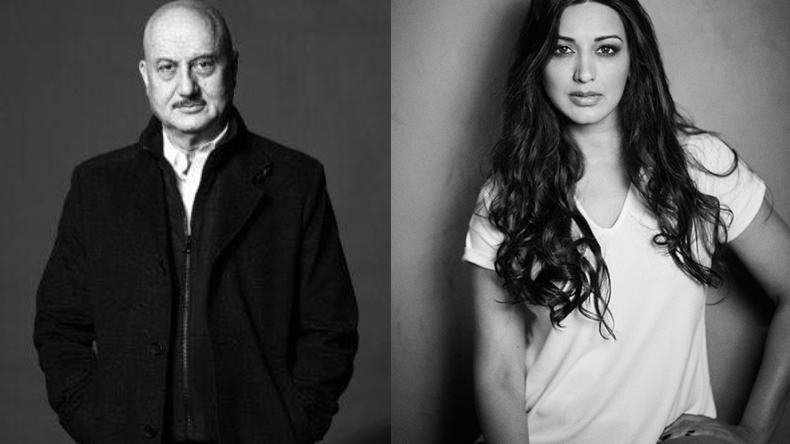 Bollywood actor Anupam Kher, who is currently shooting for his upcoming film ‘The Accident Prime Minister’, took to his official Twitter profile and stated that Sonali is his hero. Sharing a beautiful photo of the diva, Anupam wrote that he has done a few films with Sonali and met her many times in Mumbai. She has always been a bright and warm person but it was only in the 15 days that he got the opportunity to know her better and spend some quality time in New York. He added that he can easily say that Sonali is his hero. Earlier this week, Sonali Bendre shared her latest update as she posted a photo with her close friends on the occassion of Friendship Day. In the post, Sonali stated that she is now paying attention to every moment and looking for every opportunity to find joy. She added that there are moments of pain and low energy but now she is doing what she likes, spending time with people she loves and feeling happy and loved. Workwise, the diva was seen hosting Zee Tv’s reality show India’s Best Dramebaaz since 2013. The diva quit the show earlier this year after she was diagnosed with cancer.